If you're a new runner, should you start by running a 5K or a 10K, or both? It's a great question and one that will depend on two things: first, your fitness level before you start training seriously for a race, and second, how many weeks you want to devote to serious training. Let's first start with the issue of fitness level. 5K vs. 10K: How Does Training for Each Differ? 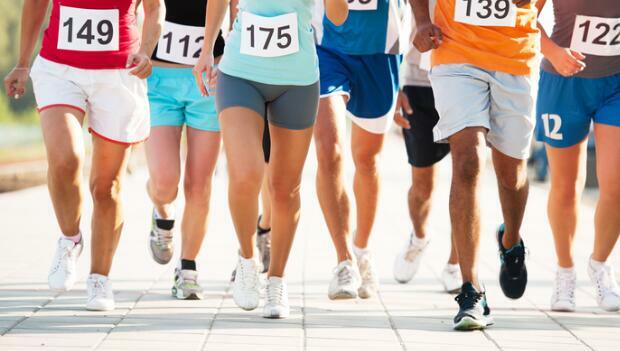 Many beginning runners are in a routine where they run roughly three miles three days a week. That's good news if you want to run a 5K, as it's 3.1 miles. You know you're going to be able to run the 5K distance, and that should put your mind at ease. But it's one thing to finish a 5K, and it's another thing to race a 5K. To really race a 5K, you're going to have to do a weekly long run and another aerobic workout during the week, such as a fartlek run, threshold run or some aerobic repeats on the track. And if you really want to see how fast you can run a 5K, you have to be honest about the fact that even though you'll feel well during the first half mile of the race, you'll soon be uncomfortable for the middle two miles of the race, then you'll have to suffer a bit the last half mile to run the race time you're capable of. That's the difference between running races for the fun, social experience, and running races to test your physical limits. For 10K training, the runner who runs three miles, three days a week can't have the same confidence about being able to run the race distance of 6.2 miles since he or she never runs that far during their runs. For this reason the training for a 10K beginner needs to be a few weeks longer to prepare for the race. So which one should you train for first: a 5K or a 10K? My suggestion is a 5K, and there are several reasons. When you learn how to challenge yourself during a 5K, you'll have the basic skills of running with discomfort that will help you complete longer distances. A well-run 5K is a grind from start to finish, and the sooner you learn how to run with the discomfort associated the 5K, the sooner you'll set PRs at the longer distances. Again, this isn't to say that you shouldn't run some 5Ks for fun—running with friends or running with a stroller or a dog. But the flip side is that if you've been running for a while and you're ready to see how fast you can run, then you need to learn how to push yourself. Coach Jay Johnson works with runners of all ages and abilities. A former collegiate coach at the University of Colorado, he's coached U.S. national champions, adult and high school runners. He coaches athletes via RunnersConnect.net, where you can sign up for Jay's individualized training. Visit his blog, coachjayjohnson.com, where you can join Jay's email list to receive exclusive videos and articles. You can follow him on Twitter @coachjayjohnson, message him on Facebook, or find him on Google+.